We are here to guide you through the process of renting a property. All of our current rental properties appear on our Website as soon as they become available. However, the lettings process is very quick and some properties are let by our skilled staff even before the ink is dry on the details. Register on this Website and we will keep you up to date with any new properties as soon as they become available. Call or pop in to our office and speak with one of our lettings negotiators. They will get a good idea of exactly what you want and can make sure you view suitable properties. It is extremely important that you do not do anything that may cause or become a nuisance to the landlord, tenants or occupiers of any adjoining premises and that nothing is committed which may increase the ordinary premium for the insurance of the property. Anybody, because of his or her race or ethnic background. Anybody who lives or works in the local area. Any of the landlord's employees, the landlord themselves or people acting on behalf of the landlord. Using or allowing the use of the premises for immoral or illegal purposes. Any serious or illegal offence committee in the local area. Using controlled drugs or other controlled substances. What's in a Student Bedroom? There may be further items in the room depending on the landlord’s preference and the size of the bedroom. In the lounge of the student property shop accommodation you will usually find sofas for enough seating for all members of the house. You will also find furniture to hold your TV should you decide you need one. Additional items in some student houses! Your time at University should be among the best, the wonder years, but it can be daunting and often fraught with problems. New City, new home, new friends and the prospect of studying hard for the next few years is exciting but scary too. We've included some advice, tips and information to help get you through and to plan for life after university. Last year students spent £95 million on Laundry and Dry Cleaning, compared to £1.1 Billion on alcohol and £720 million on phone calls. The table below shows the average costs of student living for 2009*. *Estimates for first year students starting a three year degree course in 2009. 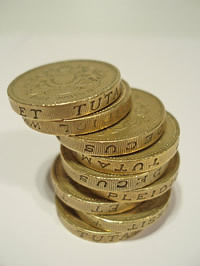 Source : NatWest Student Money Matters Survey 2009. Smoking might have seemed cool in school, but if you're now getting through 20 a day, you stand to shell out £5000 over a 3 year degree period. For information on how to quit call the NHS smoking helpline on 0800 169 0169. The ban is in public places in England from 01/07/07 and is a further reason why to quit. Don't leave laptops, televisions and DVD players on standby. The Energy Saving Trust estimated Britain's students could save £15m a year on electricity by switching off gadgets rather than leaving them on standby. Shop online, where prices for almost everything are lower than the high street. Don't pick up a basket when shopping; it will encourage you to add items you don't really need. Supermarket fruit and veg can be expensive. Instead try your local market. In the afternoons when stallholders are packing up, you may be able to pick up a bargain. Book your coach journeys well in advance and you can pick up one-way fares for as little as £1. Megabus.com sells seats up to 45 days ahead. At Nationalexpress.com you can book up to 12 weeks ahead. Train line offers discount train fares across the UK and Europe. Those who book late pay the most. Stay Safe, It's a Jungle Out There! Burglary is a growing problem on British campuses. Most freshers arrive with expensive laptops, mobile phones and MP3 players - and little clue they might fall victims to thieves. One option is to extend your parents' home insurance or to take out insurance in your own name to cover your possessions. This is great; however, this may cover you only for break-ins from your student residence. Observe your surroundings before using a cash machine. If the machine is obstructed from view or poorly lit, go to another cash machine. Take along a friend, if possible, especially at night. Have your card ready. Don't fumble through your wallet trying to find it. Put your cash, card, and receipt away immediately. Count your money later. And always take your receipt with you. If the bank is open go inside and use the cash machine. Never place identity tags on your key ring. If you lose your keys and the wrong person finds them this is like giving them the keys to your accommodation. Be aware of bogus door to door callers, requesting personal details or claiming to be somebody they are not. When in doubt, request identification. Don't leave your personal belongings on show in the window. Always make sure all doors and windows are locked before leaving your accommodation. Walk in groups and stay in well lit areas. There's less chance of a personal attack when there are witnesses or the action can be easily seen. Walk with your head up and look around you as you walk. Avoid leaving personal belongings on show. Always be aware of your surroundings and don't walk in areas you are not familiar with. What Will You Earn When You Leave? Leeds has lots of student accommodation to choose from, of varying degrees of quality. There is also plenty of information available about the various areas students prefer to live in. Things to look out for include easy access to local amenities, bus routes, shops and supermarkets. Having decided upon your preferred area and how many housemates you intend to share your home with, you need to find properties which have the right facilities for you. Internet access, fire and intruder alarms are a few of the important features and if the property has been fully refurbished this should mean that you will have fewer problems. Cost of rent carefully and what this includes. Check also how and when you are expected to pay e.g. monthly or per term. Once you sign a Tenancy Agreement you are legally required to meet your financial obligations and as payment dates may not coincide with those of your Student Loan, it is important that you budget carefully. Once you have arranged to view, look out for signs that the property has been well maintained and that the landlord regularly carries out checks. You may be asked to pay a Holding Deposit to reserve the property; make sure you are given a receipt for any money paid out along with obtaining a copy of any Application Form you are asked to complete to confirm the arrangement. 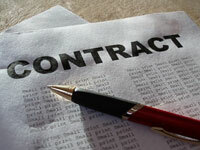 Check any contractual documents carefully before signing and if in doubt seek advice. Make sure that there is a procedure in place regarding checking into your new home which explains all about the property, the Health and Safety features and that you read any Inventory and Schedule of Condition carefully before you sign this; this is a permanent record for both you and your landlord. I have never shared a house before what bills should I expect to pay and how much? Sometimes the cost of gas or electricity may be included in the rent or the tenant may be billed directly alternatively the landlord may get the bill and pass on the request for money, or there may be a slot meter in the property, it honestly depends on what arrangements you have made. Check the meter reading before you move in, and if it is to be in your name: check with your fuel supplier so you are not charged for the previous tenant's bill. Telephone land line and television license are also the responsibility of the tenant. Lastly, don't forget insurance. The landlord insures the property, but you must insure your own possessions we are insurance brokers for End sleigh and can provide you with insurance if requested. If you're not a student like me you have to pay, this varies depending on the agreement with the landlord. If you live in unshared accommodation you will normally be expected to pay the Council Tax, either as part of your rent or by arranging to pay it yourself however there is some respite for people who live alone as they are entitled to a 25% discount. What do I need to do in order to reserve the property? This does vary from house to house depending on the price per month. Do treat the house and its residents with respect, please be respectful at all times, pushing each other around or being loud could result in the viewing being stopped, (people may be working) and you are in their home, that they are renting! Do get organised, make sure you understand all the booking procedures which are available on this website or just speak to any one of the team at the office it will be much easier in the long run!! Do start looking early; the sooner you have found the right house the sooner you can get back to that all important study! Do Write down the time and day you are booked to view the properties and ensure all house mates are to meet at our offices, if anyone is late this will cause problems for the fellow house mates who are booked after you, which can cause bad feeling. Remember we have to show 1,300 students accommodation so be fair and considerate. Do make appointments in daylight, to get a good idea of the state of the garden and local area. If this is not possible bring torches. Do get everybody to view the property at the same time; some people lose out on houses because they waste time viewing in ones, twos and threes. Do keep comments to yourselves until you have left, then write them down before you forget them! Do get the Tenancy agreement checked out by a solicitor, student accommodation service or citizens advice bureau or even Mum & Dad, You will not be allowed to sign the contract unless we are satisfied you are completely aware of the legal obligation and responsibility. Do keep all paperwork including a receipt for any money you have paid out in a safe place, take copies so if one set gets lost, you still have a record. Don’t fiddle with or handle things in other people’s rooms - you could be accused of damage or theft! Don’t be late for your appointment! If you are late, you may not be able to view the house at all! Don’t worry too much about a little untidiness in the houses, look past this and check out things like carpets, walls, nice kitchen, clean modern bathroom etc. Large room’s look great at first but remember small is beautiful, and easier to keep clean & tidy. Don’t waste time on trivial matters like who cleans what or gardening tips, what you should be looking for is a clean, warm, modern and above all SAFE home. Don’t expect perfection for £80.00 odd pounds a week! You can waste valuable time and effort finding a perfect home when good houses are being taken by your mates, further reducing your choice! With the student property shop you get more for your money. With many years of experience in the student accommodation market a comprehensive inclusive package has been developed. Before viewing with us, for security purposes, we will require you to supply some basic information about yourself and your full contact details. We will always try and accommodate the times you want to view but please remember certain properties we are letting will still be occupied and we need to give the existing tenants 24 hours notice that of any viewings we wish to carry out. We will always call you on the morning of the appointment to confirm it and would ask that you please try to be on time. We often have other appointments to go onto and if you are late, sometimes we won’t be able to wait. Please call the office if you think that you are running behind. Once you have seen the property you want to rent and our Negotiator has agreed the deal with the owner for you, there are several administrative tasks we must carry out to secure the property for you. If you don’t already have one, call into our office for an application form or ring and we will e-mail or fax one to you. You must ensure that you have all relevant pieces of information we require when applying for a property, these will include photo identification and a recent utility bill. Once this is paid we will stop marketing the property and cancel all further viewings until such time as your referencing report has been checked out. Providing the references are acceptable we will arrange a suitable time for you to sign contracts and pay the remainder of the initial monies due. The reservation fee you pay is non-refundable if you pull out of any let. It will be returned to you if the landlord pulls out of the deal for any reason. Before the start of the tenancy, all tenants must have signed the tenancy agreement. We cannot release keys until we have received all the rent and deposit in cleared funds. Not all of our properties are managed by us. Some landlords look after their own properties and will become your point of contact until the end of the tenancy. If you have any doubts, ask us. The start of the tenancy is the 1st of September and is the day that you can move in. Keys must be collected from the THE STUDENT PROPERTY SHOP Lettings office and signed for. Proof of identification will be required. Keys will not be sent via the post. We will require written or email confirmation if a housemate or mate is to pick up keys on your behalf, they will need to bring proof of identity, again 7 days written notice should be given of your intention. Our office is open between 10:00 am and 6:00 pm Monday-Fridays. We will require your receipt proving that you have paid your rent in advance or confirmation from the guarantor's bank that the standing order has been set up. Keys for the bedroom door will be in the bedroom door, you will pick up the front door key from the office. Please bring your own bedding, pots, pans, crockery, cutlery, kettles and toasters. These should also be taken with you when you vacate the property at the end of your tenancy. Finally for all other queries, we request that this is done by email, as we are busy returning deposits for the previous students and preparing all the houses for you to move in. Please find following departmental email addresses to assist with your queries. Please note that if you do ring we will request that you email or put the query in writing. Due to the amount of students that live in our managed accommodation, it can take up to 8 weeks to return deposits; this is without any deductions that may arise. 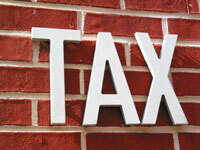 The most common reason for deductions from deposits is for cleaning! We have attached a useful check list, please note that the house must be cleaned to a professional standard. If not, we have no choice but to employ cleaners to bring the property up to an acceptable level of cleanliness. We have attached a price list so that you are all aware of the cost. Other deductions are for damage, rubbish removal and rent arrears. As we are unable to guess what you may or may not be charged for this list should not to be considered exhaustive. All charges that are made will have invoices to support them. Please note that unlike our competitors we currently do not charge for the administration of deposits. Front door keys are to be returned to the office where a receipt will be given within 3 days of the end of your tenancy. Failure to return any key will result in the locks on the property being changed, and the cost being removed for the deposit held. Cookers must be cleaned inside and out and filters replaced in the extractor fans. 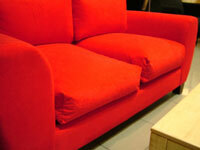 All personal items must be removed; these include televisions, occasional furniture, duvets coat hangers etc. All rubbish must be removed from the courtyard/garden and must be presented in tidy condition. (No odd plastic bottles beer cans etc). The property must be left secure, doors locked and no open windows. 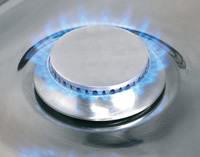 Ensure that ALL gas appliances (especially boilers) are turned off. Automatic maximum charges apply here of £150.00 per household due to over usage. Fridge’s and freezers must be defrosted with the door left ajar (otherwise the internal walls will go black) no water left on the floor. Bedrooms must be vacuumed (remember to move beds), internal windows must be cleaned, vacuum behind the furniture and remove all Blue tack marks. Blue tack marks that are left behind will incur charges of up to a maximum of £100.00 per bedroom, (depending on severity and size of room) to cover the cost of re-decoration. Arrange for all post to be re-directed. Access will not be granted after the date stated on your contract, and visits to check by TSPS Staff for post will be charged at £65.00 per visit (you can pick up a form from the Post Office to do this). The last person to leave must bring final meter reads for the gas and electric meters, and water meters if this applies to you. Failure to cancel rent standing order mandates will result in our accounts team having to reimburse the money via a cheque the cost to do this will be £20.00. So ring/email; Mum/Dad/Aunt/Uncle/Nan/Granddad = Bank Now before You Forget!!! Particular attention must be made to black mould which is caused by condensation; it is possible to wipe all or most of the condensation away, with a dry or damp cloth and with a suitable cleaning agent. Vacuum cleaners must be fully functioning clean; fresh vacuum bags must be fitted. Deductions will be made from deposits as per the Joint and Several Tenancy Agreement regardless of who owed rent and who cleaned their bedrooms. Mums, Dads and guarantors are all welcome to come and help you clean! Please remember that access is not allowed after the date stated on your contract. 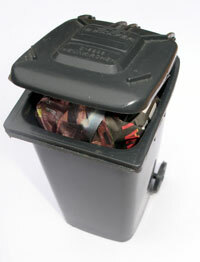 Removal of rubbish will be charged by the weight, and invoiced accordingly. All stains to including heavy tread marks to carpets where shoes have not been removed during the term of the tenancy must be cleaned to a professional standard. Particular attention must be paid to washing machines, dishwasher’s fridges and freezers. Black mould is caused by condensation and must be wiped off. Below are the charges that will be made in the event of the above checklist not being adhered to, on each occasion we will supply photographic evidence, you will not have the opportunity to go back and carry out a clean. The above prices do not include the removal of rubbish, damages or re-decoration works that may be required. This list should not be considered as exhaustive. All other costs incurred will be charged at the price that has been invoiced by the contractor. Rubbish removal will be charged between minimum costs of £50.00 to £800.00 depending on how bulky the waste is. When you return your front door key please bring with you a self-addressed stamped envelope of where your deposit cheque or correspondence must be sent. Finally after such a long list of how to make sure you can get your deposits back in full, we would like to take this opportunity to wish every housemate a fantastic and safe summer, excellent results, and for those who are in their final year a prosperous future. As a letting agency, we pride ourselves on being fair and reasonable with our approach to charges. We obviously take into consideration that accidents do happen, however we do feel that it is necessary to make you aware of your responsibilities as the tenant. You must inform us as soon as possible and we will arrange for a replacement key. Please note that replacement of lost keys will cost £20 per key. My bedroom doesn't have a lock, can I get one? Not all bedrooms have locks. If you require a lock on your bedroom door there is a charge of £50. 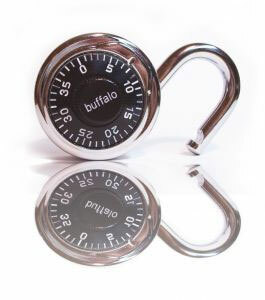 You are not allowed to fit your own lock as the lock has to be of a certain type in order to comply with H.M.O Licensing and Accreditation legislation. For your safety and security please ensure that windows and doors are kept locked at all times possible to minimise theft. Please report any burglaries to the police as soon as possible. The telephone number for West Yorkshire Police is: 0845 6060606. We would strongly advise you to take out personal belongings/contents insurance. You will be charged for blocked drains, unless caused by the drainage system. This cost anywhere from £65.00, depending on severity. Call out emergency for lost keys, £45.00. Please note that spare keys are available from the office during office hours, there is no charge for this and we will let you in free of charge. Rodents are a tenant responsibility please let us knows when you experience this problem where we can provide you with practical advice. However if the problem is found to be caused tenant negligence we will send in pest control who you as a group/individually according. Due to tampons, Durex, potatoes, eggs, baked beans, sausages!! £45.00, depending on severity of block and subsequent damage. 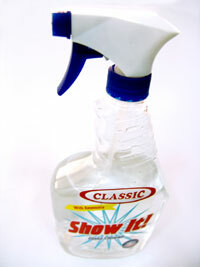 Please note that these are to be used for cleaning carpets and furniture, not water or alcohol spillage! On a lighter note, vacuum cleaners need to have bags replaced and emptied, if the vacuum cleaner has burnt out due to a lack of bag or an over full bag, you will be charged for the repair. Although these are great fun, please remember what they are actually provided for. All extinguishers are checked yearly, if at anytime they have been used, please notify us so we can replace them. If they have been used inappropriately you will be charged £45.00 - £120.00 depending on the size, to get them replaced. 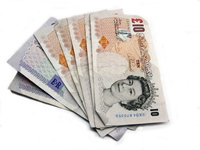 If your rent cheque is returned to us by your bank unpaid, you will be charged £45.00 for administration costs. You must bring a replacement, which could be cheque or cash into the office within 7 days or further charges will apply. If you’re standing order gets recalled by the bank due to insufficient funds, you could be also charged £35.00 for administration costs. Please ensure that you clean the interior of your windows on a regular basis. This helps to freshen up the room and reduces condensation build up. It is your responsibility to ensure condensation does not build up. You can keep condensation under control by simply ventilating the house, by opening windows, using extractor fans, not putting wet clothing directly onto radiators etc. You will be charged accordingly for visible signs of condensation, if this is due to lack of ventilation. Please note that most double glazed windows do have special latches to provide ventilation. These are your responsibility to change once they have blown. If you require assistance with this we have a man who can. Although we do not expect high standards! Please ensure rubbish is kept to a minimum and drains are kept clear. Freezers are a problem as obviously they get a lot of use and are usually full. Please ensure that when there is a build up of ice in the freezer, you defrost it, it will then freeze your food efficiently. These are tested regularly, however if at any time the alarm beeps intermittently, this usually means that the battery needs replacing. If this is the case, it is your responsibility to change it or notify The Student Property Shop. If you cannot reach, please give us a call and we will be able to assist you, however there could be a charge for this. Cleans are carried out by Professional cleaners at £20 per hour. We understand the importance of carrying out any repairs/maintenance at your rental property as soon as possible. Of course you are welcome to call our office on 0113 2751160 and our maintenance department will do their best to assist you. However, if you prefer, complete on line and your query will be dealt with as soon as possible. All our tenancy agreements are Joint and Several meaning that all tenants are jointly responsible for the payment of the rent plus any damage to the property (over and above wear and tear). We are always sympathetic towards tenants when things go wrong, but we are also responsible to our Landlords who want the rent to be paid in full. We advise all our tenants to take out their own insurance policy to cover the cost of loss or damage to their belongings. We strongly advise you to ensure that your son or daughter knows the people they intend to share a property with. Many of our student houses tend to be reserved from January onwards which does not give very long for first year students to select their house mates for the following year. As a Guarantor you are legally guaranteeing the rent and all other liabilities under the terms of the tenancy agreement (a copy can be viewed on line - see Forms). We always ensure that we have guarantors for ALL tenants on the agreement and therefore although the liability is joint & several and all other guarantors and tenants are in the same position. As an agency we have never had to chase guarantors for any monies due from tenants other than their own son or daughter. We are not responsible for the actions of private landlords who use our services for placing tenants only. Finally we would, respectfully, remind you that although you are acting as Guarantor for your daughter or son, you are not the actual tenant! When the letting process is complete and tenants have moved into the property, we prefer to deal only with problems raised by the tenants themselves. Nearly all our staff have sons/daughters at University and hence we are sympathetic towards the students and encourage them to report directly to us rather than via their parents/guardians. We have found from years of experience that most students are able to sort out their own problems. If, however, there are still issues that parents feel have not been resolved, we are happy to discuss these either over the phone or by email. If all the tenants sign the same contract then the contract automatically becomes joint and several. This means that all the tenants are equally liable for the full rent of the property. The consequence of this is that if a tenant moves out, the remaining tenants must pay the rent of the person who left. If you are a full-time student living away from home you will require a TV licence unless you only use a portable, battery-operated set. If you are living in halls of residence you will need to have a TV licence if you have a TV. If you are living in privately rented property in Bath and have a joint and several contract you will only need to buy one TV licence per property. 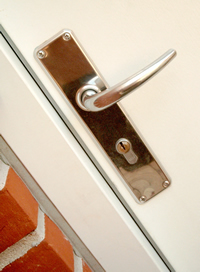 If you have signed individual contracts or have locks on your bedroom doors you will need to buy a licence per TV. You can even apply for a refund if you are not going to be using the TV at the named property for 3 consecutive months find out more from TV Licensing. Anyone who has a television set or video recorder which can receive authorised broadcast programmes (i.e. BBC, ITV, Channel 4, Channel 5, cable television or Sky TV) needs a TV licence. There are separate licences for colour and black-and-white TVs - a colour licence currently costs £139.50 a year, and a black-and-white licence is £47.00 a year. There is nothing in the law to stop a landlord from asking for post-dated cheques. It is up to the landlord. Most banks do not encourage post-dating cheques. But is a very common practise for many agents/landlords ask students to pay rent for the whole year in the form of 4/12 post-dated cheques. Pets and animals are not to be kept in any part of the property. We would advise tenants to keep the property in a clean and tidy condition - communal areas are the responsibility of all tenants. We would like to remind tenants that when the tenancy is over, the property must be left in exactly the same clean and tidy condition in which it was in when you moved in, failure to do so may result in deductions from your damage deposit. There are smoke alarms located in all communal areas of the properties and in all bedrooms, which will be triggered to alert you if there is a fire. You should never tamper with the smoke alarms. The smoke alarm keeps beeping, what should I do? Smoke alarms will usually sound a beep every so often to indicate the battery is low, if you suspect the battery is low then please inform us and we will replace them for you, do not attempt to do this yourself as you may damage the alarm. Door closers are not to be removed from the doors. These are there for a reason and required by law in keeping with fire regulations. There will be a charge if they are found to have been removed by any tenants. Cooking in any form is not permitted in bedrooms Please ensure that, when cooking, you close the kitchen door and open the window to avoid setting off the smoke alarms that are located in the property. If you need to break a window to get out, cover the edges with a cloth so you don't cut yourself when you climb out. If possible, throw soft things like bedding out to cushion your fall. This is not the responsibility of Ridley Properties. Any items left behind at the end of the tenancy will be discarded. Student and Professional tenants are jointly responsible for the condition of communal areas in the property and individuals are responsible for the condition of their rooms. Any damage to paint work etc caused by putting up decorations and posters etc. will be charged to the tenant and taken from his/her deposit. All residences are required to dispose of rubbish regularly in the wheelie bins that are located at the front or back of the property. It is essential that rear yards are kept free of litter. For many of you it will be the first time you have lived away from home or outside halls of residence and the first time you will be responsible for dealing with your own waste. Leeds City Council wants to help you get to grips with responsibilities you now have as a resident of Leeds. As a tenant you, and not the landlord, are responsible for making sure all your household waste is disposed of properly and legally. Everyone living in the house is responsible for the bins. This includes putting the correct waste in the bins, putting them out for collection and returning them back to your property after they have been emptied. Our enforcement officers patrol the streets daily to check if bins are being put back into gardens. If bins are repeatedly left on the street everyone living in your house could be issued with an £100 fine each. Letting agencies and landlords work in partnership with us to report their tenants who commit any of the environmental crimes mentioned above. Please contact the Enforcement Team to report suspected environmental crimes using the email address in the right hand corner of this page. Please remember to be a good neighbour by keeping your street and garden clean and tidy. What if I have larger items to dispose of? If there are any items that you wish to dispose of, that are too large for the wheelie bins, then please phone Leeds City Council on: 0113 238 0601 to arrange a collection. This service is free. Codes of conduct for Students? All tenants, students or professionals, are expected to behave with mutual respect and consideration for each other and for your neighbours. It is recognised that students have a right to enjoy themselves, this equally applies to those living nearby who wish to enjoy their time in peace and quiet. 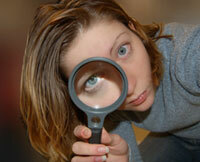 Safety and security in Student/Professional properties! Do not invite anyone into a residence unless you know them well and are able to take responsibility for their actions. The Student Property Shop has our own maintenance team that operates during our normal opening hours. The maintenance team will respond to any repairs or work that is required in accordance to its urgency. What do I do if something breaks or needs repairing in my property? Any defects of work required during the term should be reported IN WRITING to The Student Property Shop preferably by email or alternatively to our office address. Reports by telephone should not be relied upon and must be followed up in writing. 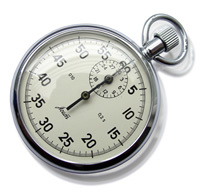 The time it takes The Student Property shop to respond to a report will depend on the urgency of the report. 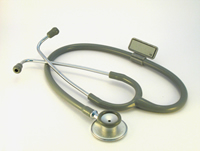 We classify problems into three different categories; these are: emergency; urgent and routine. Emergency situations include the following: major floods, gas leaks, and lack of power. In the event of an emergency you can telephone the emergency number provided in the hand book, but we must stress that this number can only be used in the event of an emergency. This facility has recently been reintroduced - but will be withdrawn if it is abused. Please use this sensibly and wait until normal office hours wherever possible. The landlord has reserved the right to charge for unwarranted call out following previous experience and these charges will be levied where they are appropriate. The Student Property Shop will respond to emergency situations as soon as possible. Normally this will involve sending our own handyman or in certain circumstances an independent contractor will be called out. Urgent responses include fire equipment problems; Broken cooker/fridge/freezer; doors that cannot open or lock that may be a potential security / safety risk; minor flooding; heating problems; or other problems considered to be a health and safety hazard. The response to urgent situations will again be from receipt of a report IN WRITING by email. Problems discovered during weekends or holiday periods will be attended to the next working day. Where there is no alternative facility (e.g. light, toilet, bath or shower) in an area, the problem may be classified as urgent. What's the procedure for routine repairs? All other repairs will be classified as routine and will be addressed again according to their urgency. Can i change my mind if we don’t want the house? When you sign a contract it will be for a fixed term usually 12 months which you are legally bound to pay the full rent for those 12 months, you may be allowed to leave if you find a replacement tenant to take your place. If you leave before the end of the time your guarantor will be liable for your rent. You can be taken to a small claims court for outstanding rent. A tenancy agreement is a legally binding contract between a landlord and tenant that sets out both the legal and contractual responsibilities and obligations of the two parties. It should be written in plain and intelligible language (no unnecessary jargon!) and its terms and clauses should be fair and balanced, taking account of the respective positions of the parties and should not mislead about legal rights and responsibilities. Landlord and tenant should take care to individually negotiate any particular terms or conditions that are important to them or especially relevant to the particular let or property. The majority of all contracts last for 12 months. Please check the tenancy agreement. The last day of the tenancy is on June 30th. Please check with us if you are unsure of your contract end date. Please note you must vacate the accommodation by 12pm on the last day of your contract. What happens if I do not want to stay for the full contract period? Under the terms of the contract you are bound to pay for the full period. In order to leave the contract you will need to find an alternative student/professional to take your place whom both The Student Property Shop and your fellow flatmates approve with (Approval from flatmates must be in written form and signed by all other members of the contract - Please ask for The Student Property Shop document). Our administration fee for dealing with this is £120. New tenants 1st calendar month rent. Signed confirmation from all the remaining tenants in the property confirming that you have caused no damage and that you have paid your share of the utility bills up to date. (Please ask for The Student Property Shop document. All your rents to be paid up to the date of you leaving the contact. We aim to make the letting process as quick and easy as possible. You can find all the documents you will need to sign up with us here. Download them, read through them and fill them in before you pop into the office, it makes things a lot quicker and gives you time to digest all the information and prepare any questions you might have.